The tenth anniversary of the last military attack on American soil happened on a Sunday. It could have been any other Sunday. I went to church and I watched the Chargers-Vikings game. 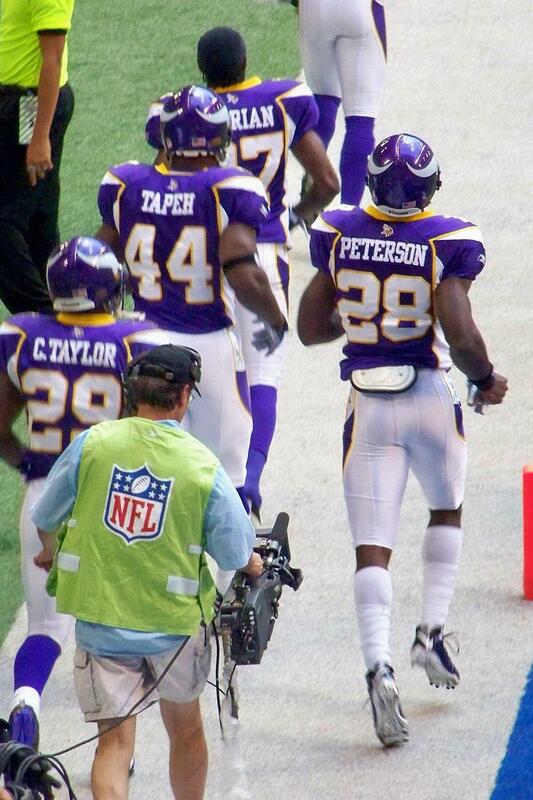 The Vikings: The team I used to love that played on 9/11. The game was a challenge in loyalties for me. I now live in San Diego, but throughout my childhood and young adulthood I was a Vikings fan. I remember the four times the team went to the Super Bowl and lost. I think my allegiance to the Vikings taught me that loyalty is important, even when it isn’t easy. What does it have to do with 9/11? The terrorist attack of ten years ago showed America what it was like to not be winners and to be vulnerable. It showed us what it was like to be humiliated and fearful. Not everything goes our way and the consequences can be tragic. Is that what it’s been like to be a Vikings fan? Maybe I’m milking this for more than it deserves. But a feeling of invulnerability can come with being a citizen of the world’s most rich and powerful country, and it’s a lot like being a Yankees fan. I’m in the middle of reading a book about Franklin and Eleanor Roosevelt called No Ordinary Time. It’s the story of Roosevelt administration during World War II. It’s very long and ponderous but somehow I keep reading it. I think of this book because of the comparisons people have made between the attack of 9/11 and the bombing of Pearl Harbor. It’s a comparison I can understand, but one that’s ultimately ridiculous. The attack on us by the Japanese Empire, and the subsequent declaration of war on us by Nazi Germany, cannot in anyone’s imagination be similar to a terrorist attack by a motley bunch of Arab religious fanatics, who just happened to get lucky by hijacking four airplanes while nobody was paying attention. In World War II, our enemies were large industrialized counties with the capacity to conquer other developed countries and murder millions of people. By comparison, Al Qaeda is a bad joke. Al Qaeda managed to murder a few thousand Americans. But their greatest achievement was the inspiration of fear and hatred among Americans. Did I tell you I went to church on 9/11? I felt like I needed to pray for the people who were killed ten years ago, and I did. The message of the homily at St. Didacus Church in Normal Heights: Forgiveness. You might be wondering who won that game between the Vikings and the Chargers. San Diego did. I thought I might cheer for the Vikings, in light of my history. But my life has changed and my allegiances have shifted. Still, I’m comforted by the fact that San Diego Chargers have also never won a Super Bowl. I’ve cheered for losers all my life, and it feeds the soul. Yankees fans, and Americans, should keep that in mind. This entry was posted on September 14, 2011 at 6:19 pm and is filed under Uncategorized. You can subscribe via RSS 2.0 feed to this post's comments. You can comment below, or link to this permanent URL from your own site.